Supporting several iOS/Android devices, the LU-Smart mobile app represents the next level in mobile newsgathering, allowing LiveU's broadcasting and online video customers to extend their coverage using a smartphone or tablet. 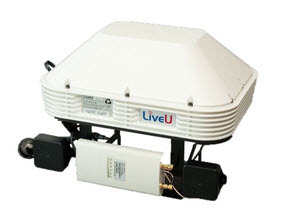 Based on LiveU's fourth-generation uplink technology, LU-Smart bonds internal Wi-Fi and cellular connections to reach optimal video quality. The LU200 supports two 4G LTE/3G modems together with Wi-FI and LAN connections and includes LiveU's proprietary antenna modules for extra resiliency. The LU210 and LU220 take LiveU's powerful and affordable LU200e and repackage it into an industry standard 1U rack mount configuration for use in both truck and fixed broadcast locations. The LU210 and LU220 are excellent as dedicated encoders - for contribution to the LiveU Multipoint platform or from remote locations such as sports stadiums or satellite studios. They can also be used in SNG trucks connected to the LiveU Xtender as well as Ka-Satellite equipment for the ultimate hybrid solution providing guaranteed bandwidth in remote areas. Both solutions are environment-friendly having very low power consumption. Weighing around 1 kg (2.2 lbs), LiveU's LU500 offers the ultimate combination of high performance and portability. This small sized unit is powered by LiveU's multi-processor video encoding engine and fourth-generation patented bonding algorithms. With boot time under a minute, the LU500 is essential to journalists broadcasting rapidly changing events and fast action scenes. Powered by LiveU's new multi-processor encoding engine and proprietary antenna modules, LU500 offers up 13 network links including 6-8 internal bonded connections. For extra-resiliency in challenging conditions, the unit can be connected to the LiveU Xtender external antenna and to satellite equipment to create a hybrid cellular/ satellite solution. The LU500 also supports additional modems via external USB ports. The LU700-SV takes LiveU’s field technology and repackages it into a 1U rackmount server configuration for SNG trucks and fixed installations, allowing news teams to enjoy the benefits of both satellite and cellular networks for live news gathering in diverse scenarios. 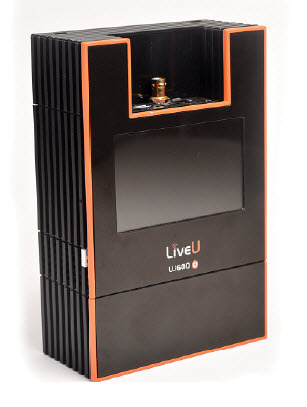 Using LiveU’s patented bonding technology, the LU700-SV provides resilient live HD video transmission for 24/7 news and events coverage on-the-move and in fixed locations, optimizing all available bandwidth to deliver broadcast-quality video. The LU710 takes LiveU’s 1U rack-mount encoder to the next level, incorporating powerful HEVC encoding and 4K video resolution, giving sportscasters and news teams broadcasting from hybrid ENG trucks and fixed installations the highest quality video available today. LiveU’s LU710 vehicle solution combines a 4Kp50/60 powerful encoder with the LiveU Xtender external antenna with six LTE modems and vehicle-mounted satellite, transforming any SNG vehicle into a hybrid, bonded cellular truck for transmitting 4K video resolution. This super high quality video is received by our new LU4000 server, supporting HEVC 4K decoding. The LU2000 Bonded Video Transceiver unit is used to receive, reconstruct and playout any bonded video stream sent by LiveU’s range of field units, including the LU200, LU400, LU500, LU-Smart and LU-Lite. The LU2000 can also be used as a transmission node when configuring LiveU’s MultiPoint transmission service. 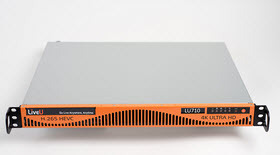 The LU2000 comes in a range of configurations, from hardware-hosted MMH software, to cloud server solutions, and uses LiveU Reliable Transport (LRT), which includes patented Dynamic Adaptive Bitrate control and Forward Error Correction, allowing it to optimize live video delivery to different classes of receiver, dynamically adjusting bitrate and quality for the best viewer experience at any time. The LU4000 HEVC Video Receiver unit is used to receive, reconstruct and playout any 4K p50/60 bonded video stream sent by LiveU’s LU710 rack-mount encoder; supporting sportscasters and innovative news teams wishing to deliver content from the field in the highest video quality available today.